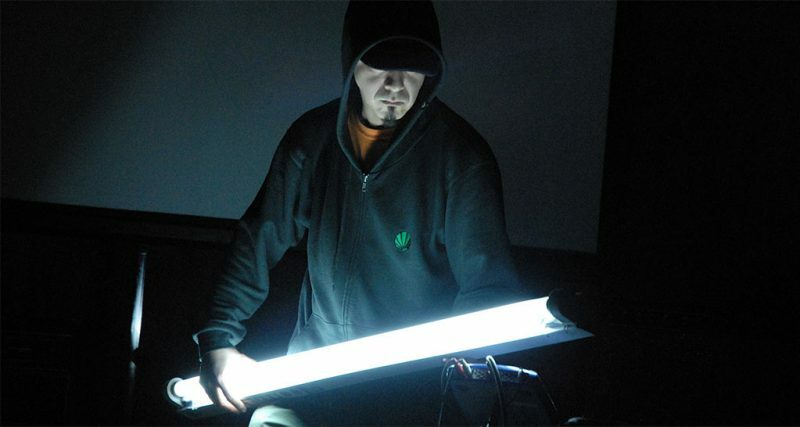 Atsuhiro Ito, a visual artist, began exploring sound in 1998 and has carved out a light/sound performance niche using a fluorescent light tube as an instrument. He ran Tokyo’s now-defunct venue Off Site – home to the Onkyo movement – until 2005 and set up his own label, Gotobai recordings, in 2009. 2017 © Simultan Association. All rights reserved.